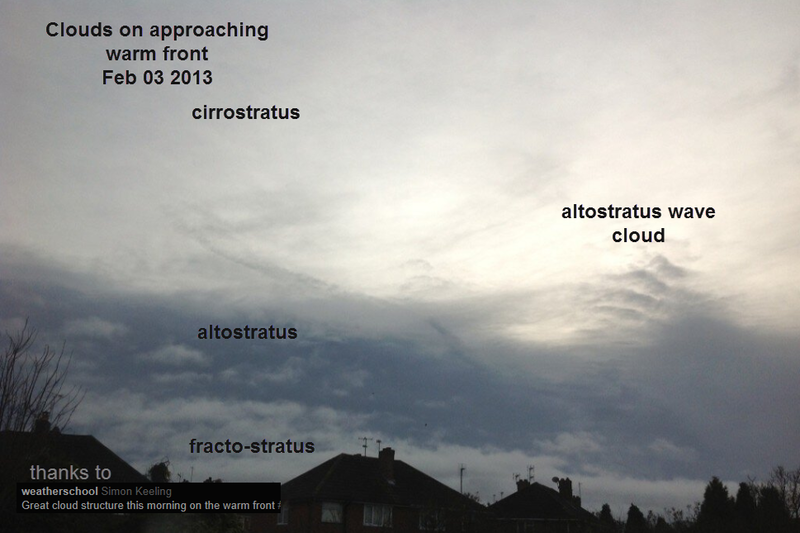 As a warm front approaches the cloud thickens and decreases in altitude from a high cirrostratus veil through to altostratus and finally stratus. Fracto-stratus are the low level, ragged fragments, of stratus which appear dark and forbidding, below rain clouds such as nimbostratus. Despite its’ angry looks, this particular warm front is weakening on its way across the UK and will not bring any significant rainfall to Reigate. News on the exciting cold weather this week coming soon!